The motto of our club is "Spirit, Focus, Power". To gain all three of these, commitment and energy are required. In Class: Show up on time, with equipment and uniform ready to go, with belt tied and shirt tucked in. Show respect for your fellow students - no horsing around. 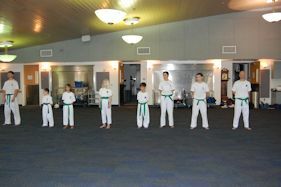 Our club focuses on physical fitness, building friendships and improving our martial arts skills. 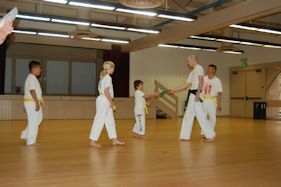 Moving from belt to belt is important but not the sole focus of Blue Wave Martial Arts. To attain a Brown Belt, please read this. 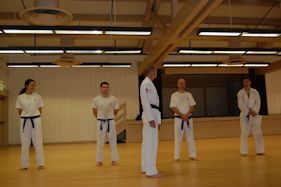 If you would like more information about attaining a black belt, please read this.